New Jersey Sen. Bob Menendez's criminal trial on bribery and other charges ended in a mistrial Thursday when jurors were deadlocked for the second time in four days, unable to reach a verdict. The senator and his co-defendant, a wealthy Florida doctor, might have to go through the same thing all over again. The Double Jeopardy Clause forbids retrials for the same offense, but a mistrial is a well-recognized exception to that constitutional rule. A federal judge has broad discretion to find that a jury is hopelessly deadlocked, and a mistrial in this situation generally will not bar re-prosecution — even though the defendant will clearly undergo two successive trials for the same offenses. 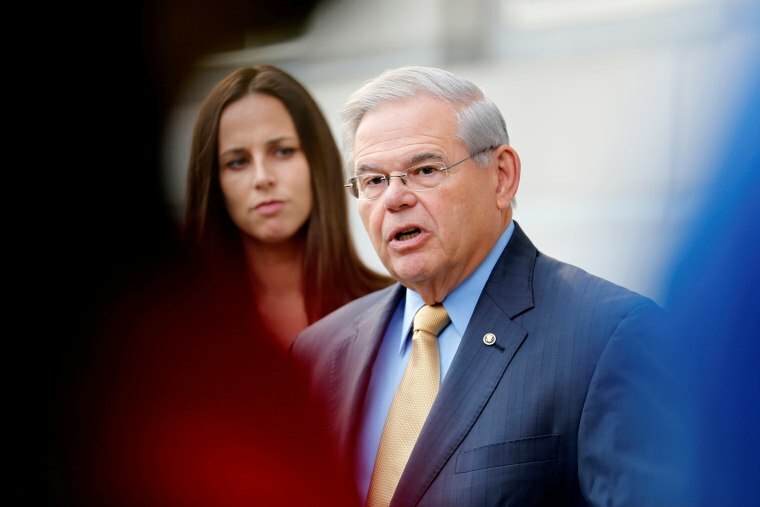 Federal prosecutors said Thursday they will "carefully consider" their next steps in deciding whether to re-try Menendez, D-N.J., and his friend, Salomon Melgen. The Department of Justice should consider the risks of another trial. First, interviews with the jurors after the mistrial was declared do not bode well for the government. Juror Edward Norris indicated the vast majority of the jurors wanted to acquit Menendez, with only two holding out for a conviction. That’s an important factor, but not the only one. Second, as with all retrials, the defense team has now seen every arrow in the government's quiver. They have cross-examined witnesses and evaluated the prosecution's performance in court. They have briefed and argued every issue already. They have fresh transcripts of the government's witnesses to mine for inconsistent statements. Of course, the government has seen some of the defense's case as well, but the burden is always on the government, which means the advantage goes to the defense. Third, even if the government secures a conviction in a second prosecution, it might not hold up on appeal, given the recent Supreme Court decision involving former Virginia Gov. Bob McDonnell. An appeals court could conclude that the court's 2016 decision in McDonnell v. United States, requires the prosecution to prove bribery by showing that when a public official accepted a gift, there was (1) an agreement to exchange that gift for (2) a specific, identified official act that was (3) reasonably foreseeable at the time of the agreement. The government certainly had evidence of gifts and official acts. They may not have had persuasive evidence of an agreement. Bribery can be conceptually difficult for a jury — and for lawyers, too. The easy case is caught on tape or e-mail, showing an official accepting a bag of cash for a specific official act. Most cases are not so easy. This is one of those not-so-easy ones. It's not enough that Menendez did things that benefited Melgen, and it's not enough that Melgen did nice things for Menendez. There needs to be an agreement, and it needs to be a corrupt one. After all, those acts taken in isolation are legal. It's legal for a senator to take actions that benefit a citizen. It's legal for a citizen to do nice things for a senator or make donations to his campaign. It's just not legal when one is for the other. Where’s the line? This jury didn't know for sure. Most lawyers don’t, either. Danny Cevallos is an MSNBC legal analyst who practices in the areas of personal injury, wrongful conviction and criminal defense in Pennsylvania, New York and the U.S. Virgin Islands, at the law firm of Cevallos & Wong in Pennsylvania.